A woman appeared to carry a strange creature by its feet. 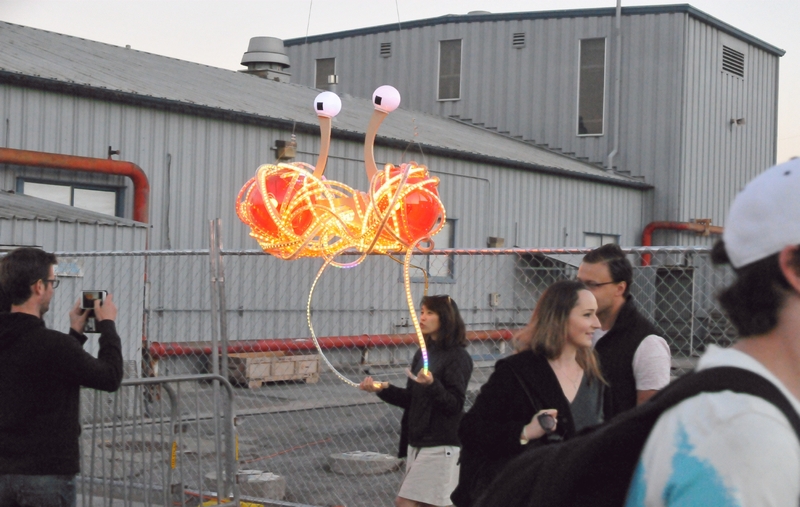 But the creature was actually attached to the cyclone fence. It seemed constructed with balloons and given eyes on tall stalks. 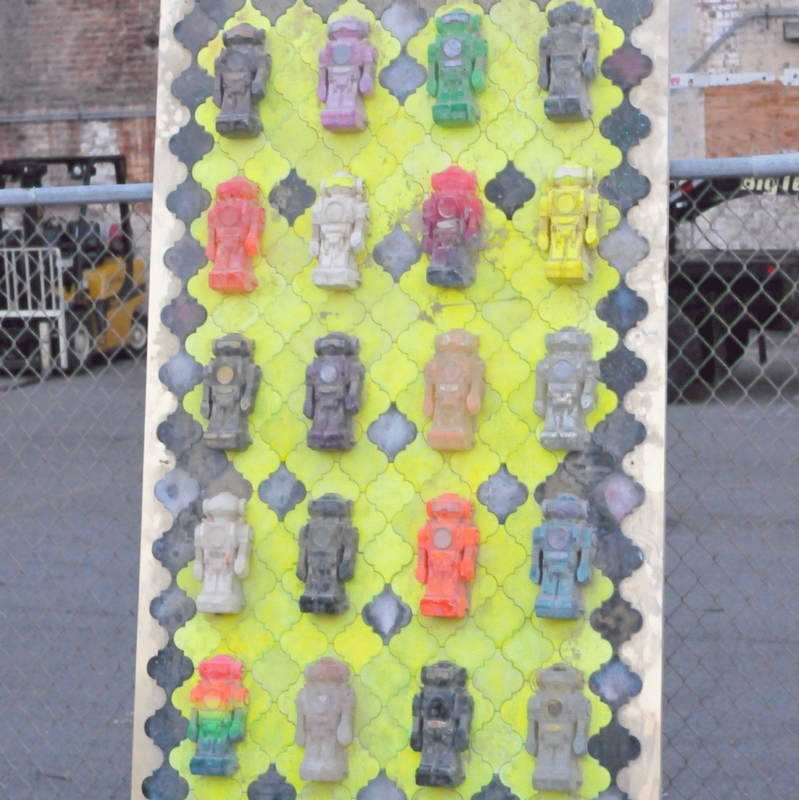 Plastic robots arranged on a tile background were leaned against a cyclone fence. 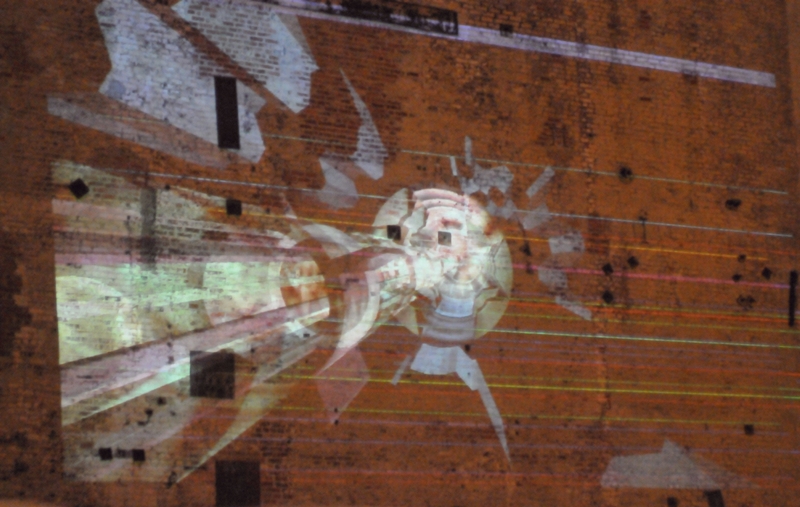 Some art was projected on the side of a warehouse wall. 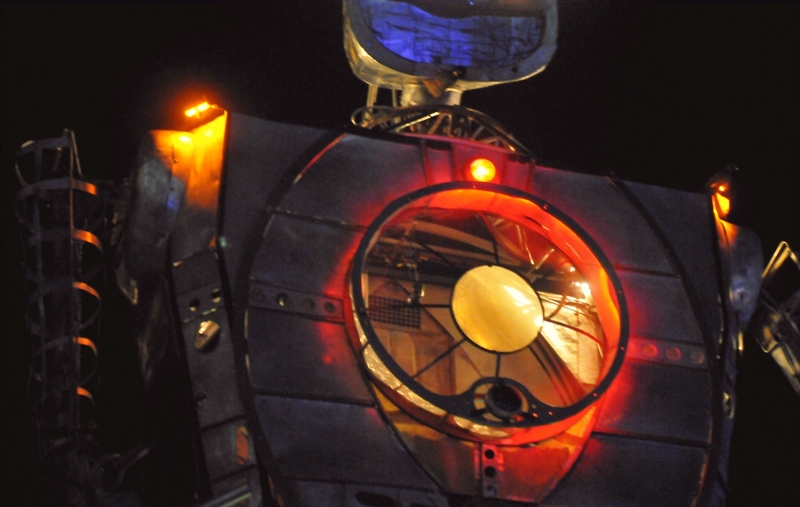 A tall metal robot was lit with red lights that throbbed like a heartbeat. 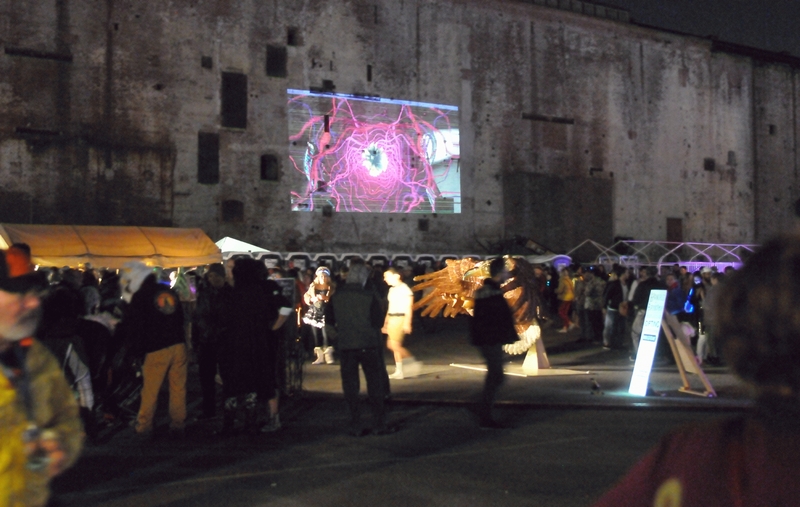 Another projection of art appeared inside a smaller warehouse above a dance floor.